We can’t really tell if these people have really creative wedding planners or just have a lot of money to afford having perfect weddings, but one thing is for sure: some celebrity weddings have proven to be very extravagant. With a touch of craziness and tons of creativity, we’ve gathered some of the craziest ideas that celebrities have actually put into practice on their big wedding day. P.S. We’d love to know which one you find the best and if you’d do it at your wedding. #1: Justin Timberlake and Jessica Biel – Before these 2 got married in Italy, they have one pre-wedding week with exclusive parties that included bike rides and even fireworks. Oh, and they spent $6.5 millions to get married in Italy. And nearby buildings were shut down to avoid any press getting in. #2: Beyonce and Jay-Z – Even if these 2 could afford basically any wedding venue in the world, they got married in their own New York penthouse. However, they did fly in 60.000 white orchids from Thailand to decorate the place. #3: Tom Cruise and Katie Holmes – Apparently, the happy couple went through a lot of (financial) effort to make their guests’ stay as comfortable as possible. 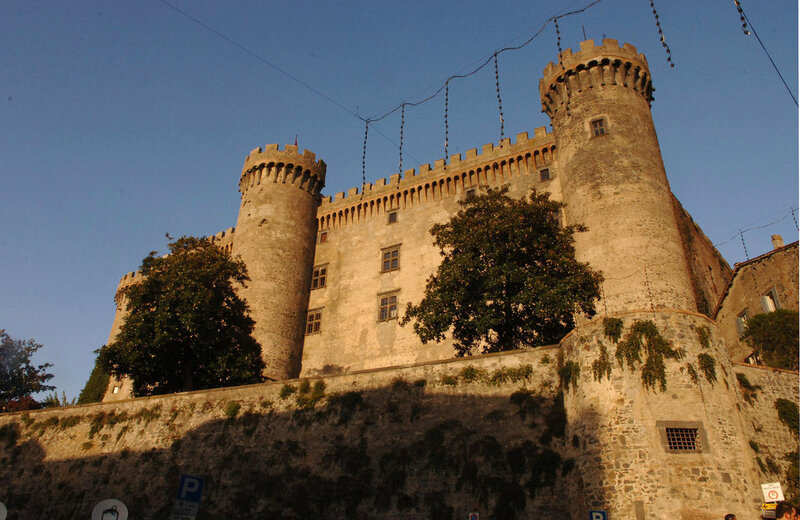 They spent no less than $750,000 on luxury guest accommodation in the exclusive Castello Odescalchi outside Rome. #4: Russell Brand and Katy Perry – One of the greatest perks of being a worldwide celebrity is that you can afford pretty much any wedding venue. These 2 decided to get married in India and flew all their friends and family there. Even more, they wore traditional Indian outfits and has a ceremony that included camels, elephants and even horses. #5: Keri Lewis and Toni Braxton – What happens when the bride really goes nuts with planning her wedding? She orders all sorts of replicas of her favorite item in the whole world and puts it all over the venue. In this case, we’re taking Tiffany boxed. 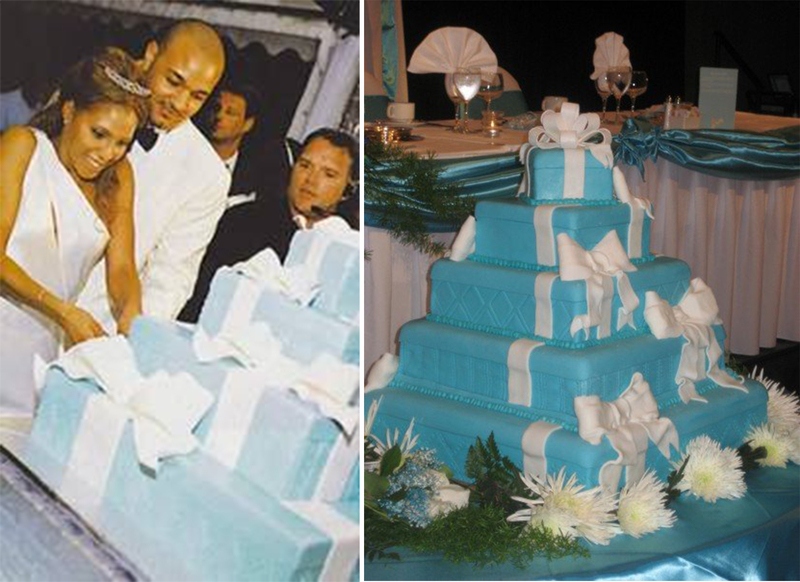 Even their wedding cake look like a huge stack of boxes. #6: Brad Pitt and Angelina Jolie – We all know they’re one of the cutest couple in Hollywood. We also know they’ve adopted 3 children and had 3 more of her own. Another thing we know is that Donatella Versace is a dear friend of Angelina’s, so she was asked to make her wedding gown, together with Luigi Massi. But how many people know that the backside of the wedding dress is filled with doodles made by her own children? Stay tuned for part 2 of our “Some Craziness, Straight From Celebrity Weddings”, coming up next week!